Two posts.. one day… must be SPRING BREAK! I entered Melissa over a 20 going on 80's Iron Baker Competition. 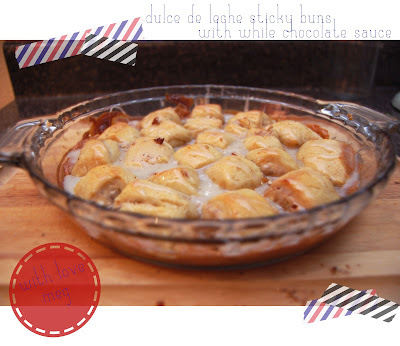 dulce de leche sticky buns with white chocolate sauce! You can see the other entries and get this SCRUMPTIOUS recipe over at melissa's blog by voting for my recipe! that sounds delicious! checking it out now! First of all, this looks incredible! 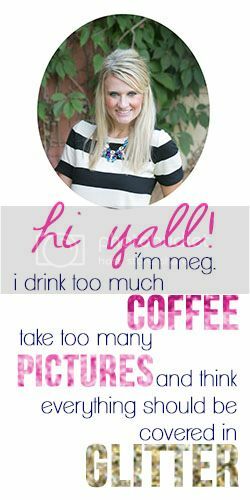 Secondly, I just found your adorable blog, and I am so excited to be your newest follower! I hope you'll stop by my blog, Cupcakes and Candy Canes, sometime.